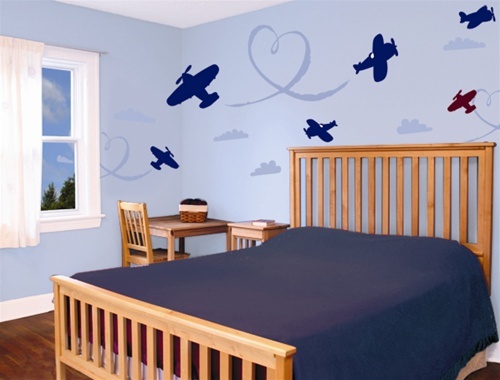 Your child will feel like they are flying with these Airplane and Puffs wall decals stickers. 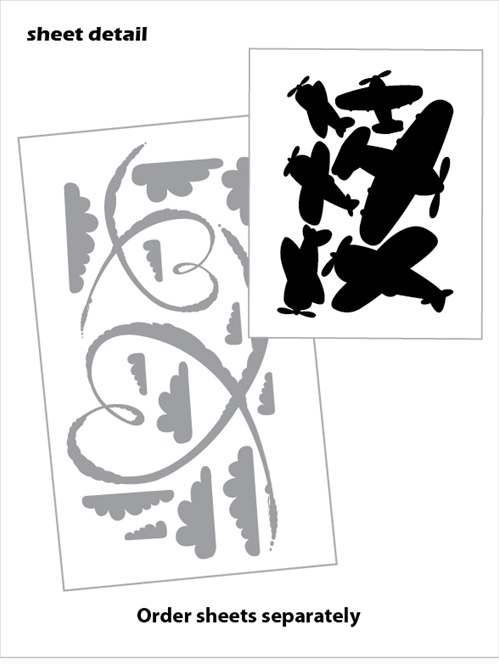 contains (6) plane decals sized 12" - 24"
contains (14) cloud decals sized 6" - 24"
The airplane wall decals looked great once applied. I also liked that i was able to choose from an array of colors to match the other decors. But it took much longer to apply and then i anticipated not too mention difficult. Definitely not a peel and stick like other decals i've used before. Another con is there's not much variation on the shape and orientation of the clouds. Wall Slicks is a great company to work with on custom designs! They made exactly what we were looking for and fast too! I would highly recommend them for all your wall decal needs.